Whole life insurance policies offer a cash value that you can use in retirement. 1. 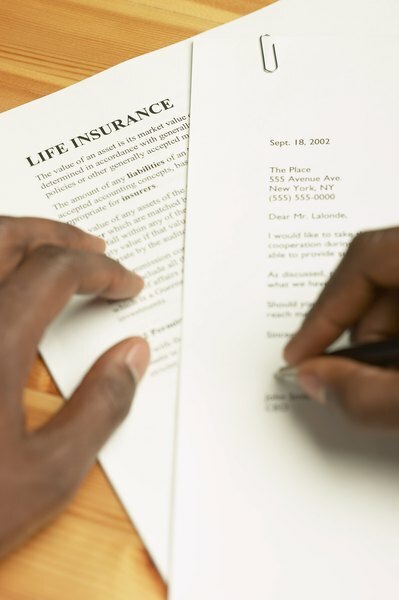 Is a Whole Life Insurance Policy Good for Retirement As Well? 2. Is Life Insurance Taxed at Payout? Life insurance can provide valuable protection, allowing your heirs to replace your income or pay for funeral and other expenses in the event of your death. Whole life insurance policies, however, offer an additional benefit. They accumulate cash that you can use in addition to other retirement savings you may have. You should understand how these policies work before deciding to use one as part of your retirement plan. Unlike term life insurance, which provides coverage only for a specific period of time and then ends, whole life insurance covers you for your entire life, no matter how long. As long as you continue to pay the premiums, a whole life policy guarantees to pay a death benefit to your beneficiaries when you die. A portion of your monthly premium is invested and the earnings grow tax-deferred over time to build up a cash value. If at any point you want to cancel a whole life policy, you can stop paying the premiums and will receive the cash value at that time. You can borrow money tax-free against the cash value, but any outstanding loans or interest will reduce the benefit paid upon your death. Interest rates on these loans are usually low, and you can use the money for anything you like, such as travel or medical expenses in retirement, or education expenses for children or grandchildren. If you’ve made other arrangements and your heirs won’t need the death benefit, you can choose not to repay the loans, or simply surrender the policy for the full cash value. Once you purchase a whole life policy, you're guaranteed insurance for life, regardless of age or health. With term life insurance, if you still need coverage when the term ends, you'll have to reapply and run the risk of paying much higher premiums or being denied insurance entirely. Because you own the cash value, you never have to apply before taking a loan, and there is no repayment schedule. You can use loans to supplement income from other retirement plans, or to help pay taxes you may owe on withdrawals from those plans, since these loans are tax-free. Whole life premiums are very expensive compared to other types of insurance. If you have a large estate, a whole life policy may help with estate planning by allowing you to determine how much you leave to your heirs or providing money for them to pay estate taxes on your other assets. If, however, your main concern is accumulating funds to spend in your own retirement, a financial adviser can help you determine if you would be better off purchasing a cheaper term life policy and investing the difference in premiums in another retirement plan, such as a 401(k) or IRA, which often offer better rates of return. Does Homeowners Insurance Cover the Mortgage If You Die?